Leader of the Islamic Revolution Ayatollah Seyyed Ali Khamenei extended his condolences to the bereaved Iranian families who lost their beloved ones in the recent terrorist attack in Iraq and a train collision accident in Iran, and called on officials to probe into root causes of such incidents. In a message on Saturday, as translated by IFP, Ayatollah Khamenei said that he is stricken and deeply saddened by the recent deadly train crash in Semnan province as well as the suicide attack against pilgrims near the Iraqi city of Hilla. The Leader referred to the terrorist attack in Iraq, which killed dozens of Iranian pilgrims, and said that it was a cowardly revenge by the ISIS terrorist group, whose plots had been defused by the massive Arbaeen processions. 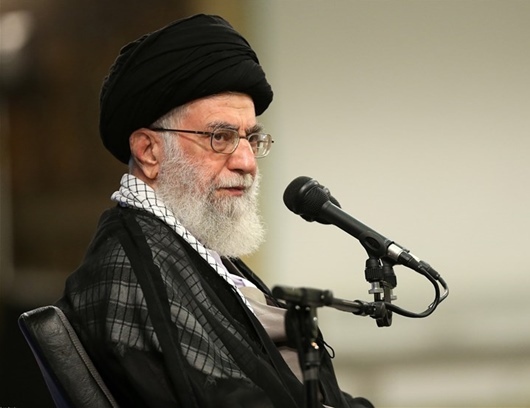 “The criminal and cruel Takfiri [extremism] groups […] took revenge cowardly and heinously and once again showed their evil face and filthy nature to everyone,” Ayatollah Khamenei said, as reported by Fars. Such attacks “renew the warning to all Muslims and all those who care about the danger of Takfiri movements and the governments that support them,” the Leader added. Ayatollah Khamenei also pointed to the collision of two passenger trains at a station in Iran’s North-Central province of Semnan on Friday, which killed at least 45 people, and ordered Iranian officials to find the root cause(s) of the incident and prevent similar cases in future by resolving the problems.